Virtual Machine Data Recovery Tool is an expert solution to repair corrupted Virtual machine files and recover emails from it. This well-developed software provides many useful features to save extracted emails in different file formats like PST, MSG, EML, and Live Exchange. The Virtual machine email recovery application enable users to repair corrupted virtual machine files. The file corruption may be any i.e., high or low. If the file is highly corrupted, then also users can browse files without any worry. After successfully scanning files, the software automatically loads entire emails on its screen. 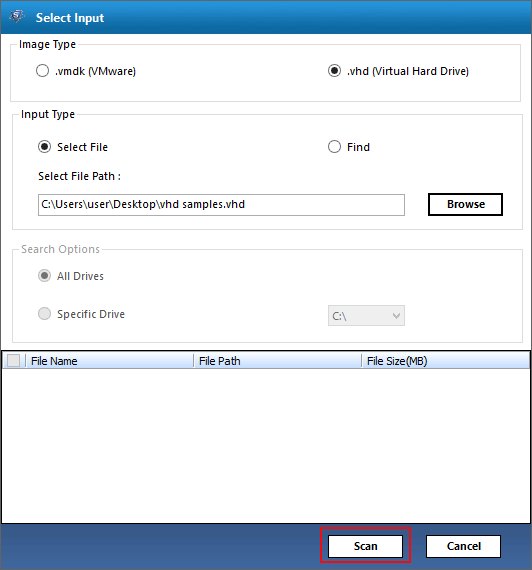 One can preview an EDB file content, which is extracted while scanning a VMDK/VHD file. The tool also scans deleted emails of the source file and loads them on its preview window. 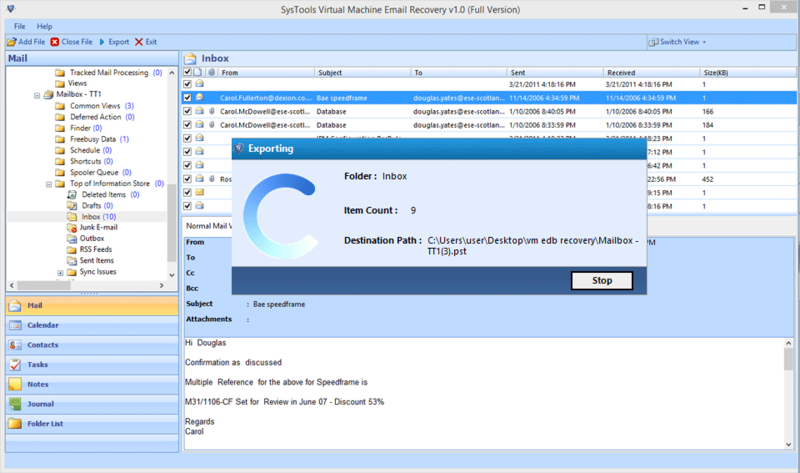 The virtual machine email recovery software is designed with such advance algorithms that it offers feature to restore deleted database files of Exchange. 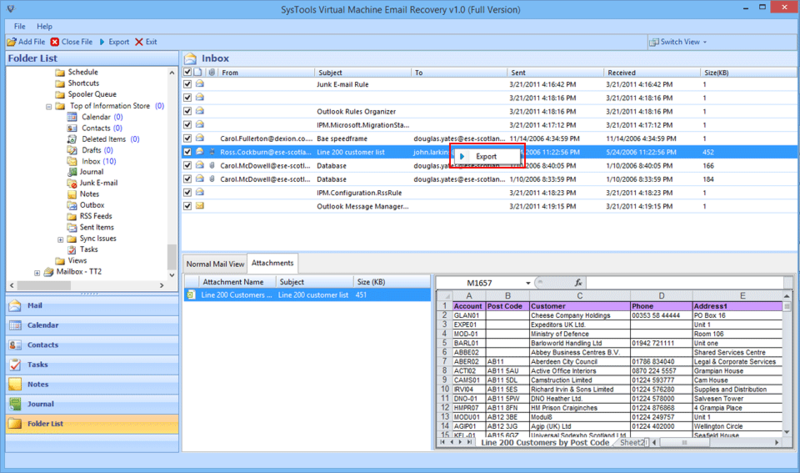 It supports restoration of previously erased emails from selected virtual machine file and thus, one can save those emails in desired file format. If needed, users can save particular email folder of VHD/VMDK file and save it in any file format. 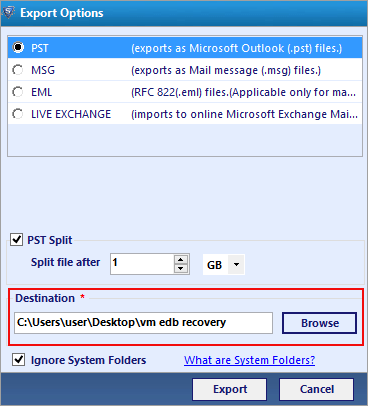 Moreover, while exporting EDB emails into PST files, tool provides an option to split resultant PST files after a particular size. Users just need to mention that size in MB or GB and then software will automatically break file in that size. 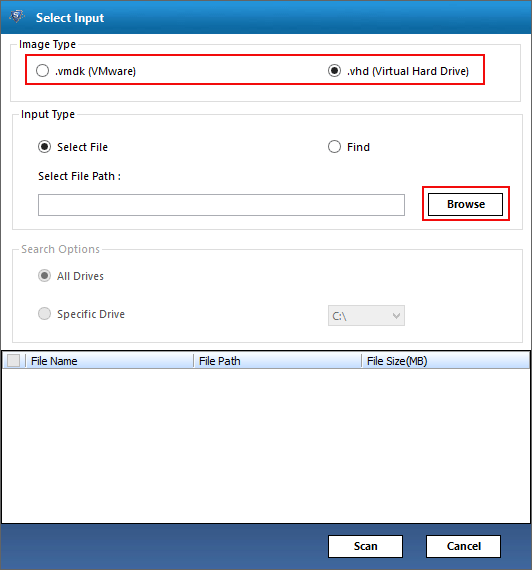 If users are not aware from the location of VHD or VMDK files then, they can use Find input type of this application. This will provide two options to automatically search file from local machine and browse it. data files can be easily searched by utilizing an option like modification date, creation date, name, etc. Moreover, filters of date can be useful for researching and choosing VMware virtual machine data recovery. Q. 1. 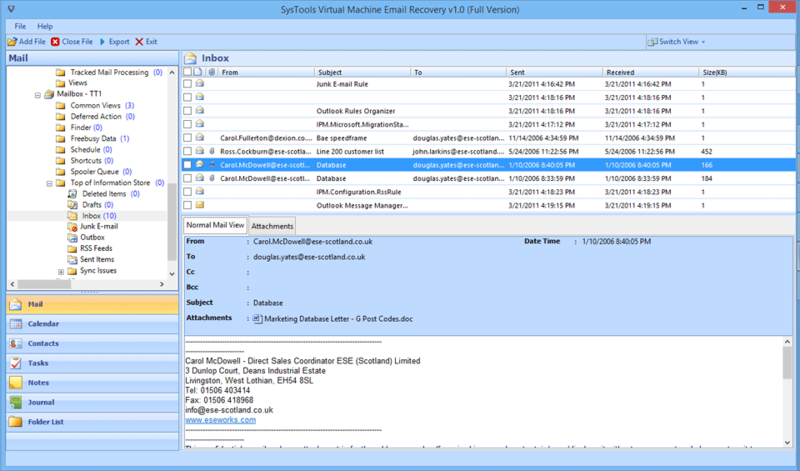 Will this software recover emails from a corrupt VHD file? Ans:Yes, our software supports both the file formats for the recovery process. 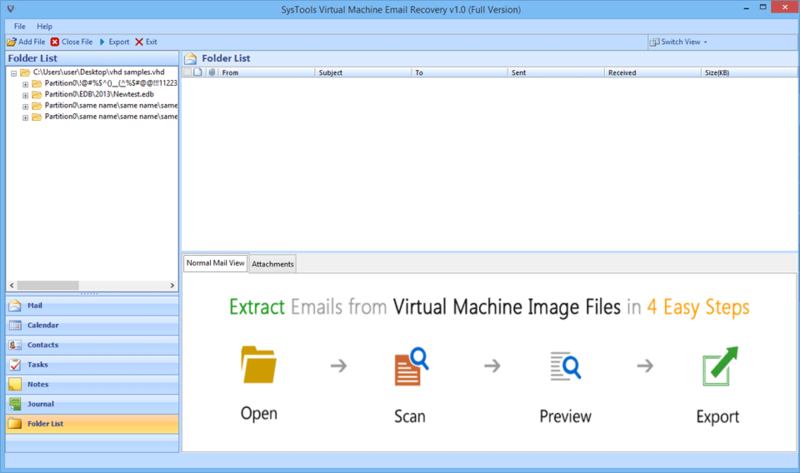 You can load and scan VHD or VMDK file formats using Virtual Machine Email Recovery Software. Q. 2. 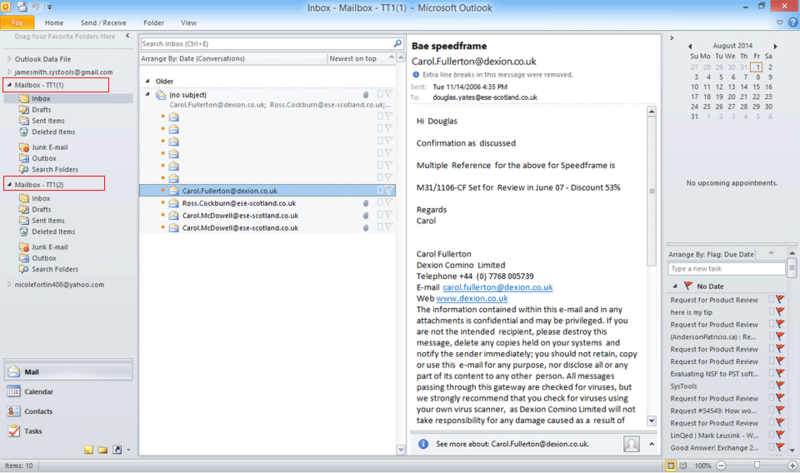 Is MS Outlook installation is needed to use this software? Ans: Yes, MS Outlook installation is needed to use this software for the recovery of virtual machine files in PST file format. Q. 3. Will your software support virtual machine file of 4.32 GB size? Ans: Yes, there is no file size limitation appended with this software. 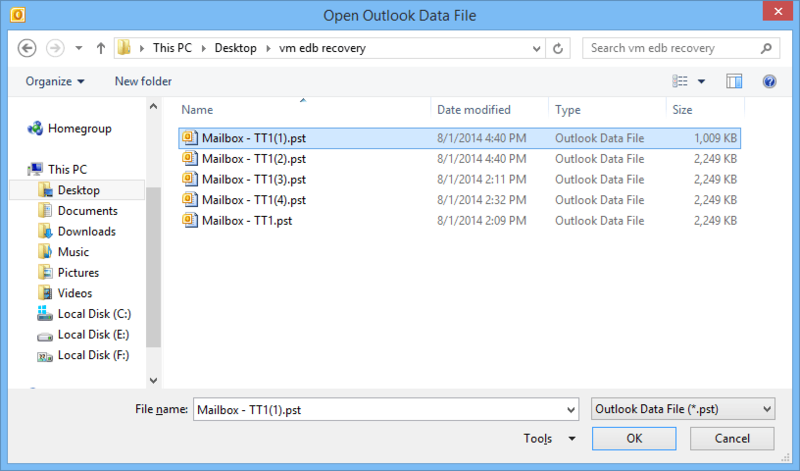 One can freely browse VHD or VMDK file of any size in this product and recover emails from it. How to recover VMware Data? Step 2 : Below displaying screen will be opened while Clicking on Add File option. 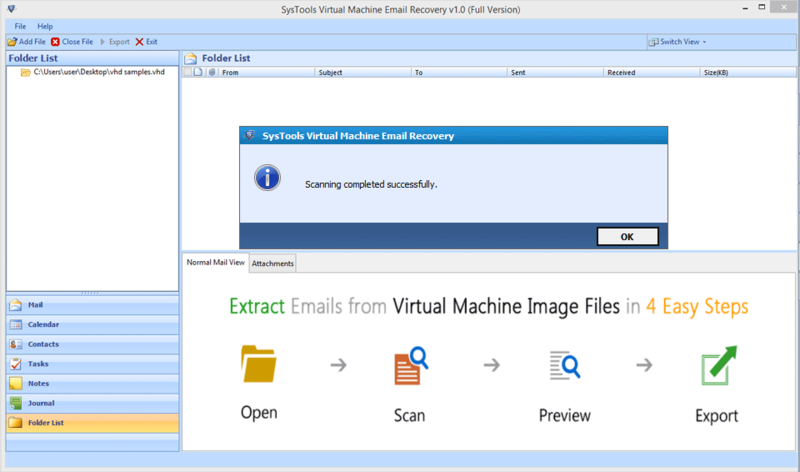 The Virtual Email Recovery Software showing the Virtual machine images type. You have one image type: .vmdk (Vmware) & .vhd (Virtual Hard Drive) file. After that "Browse" .vhd file. 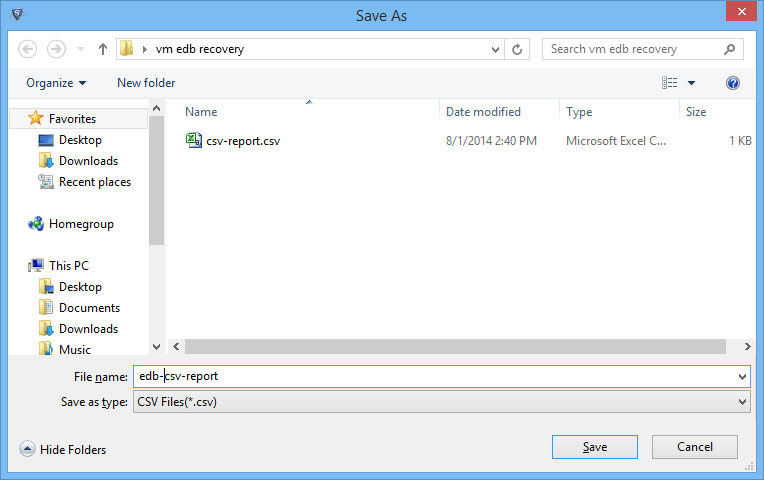 Step 3 : Virtual Machine Data Recovery Tool will Scan the .vhd file when you loaded it. 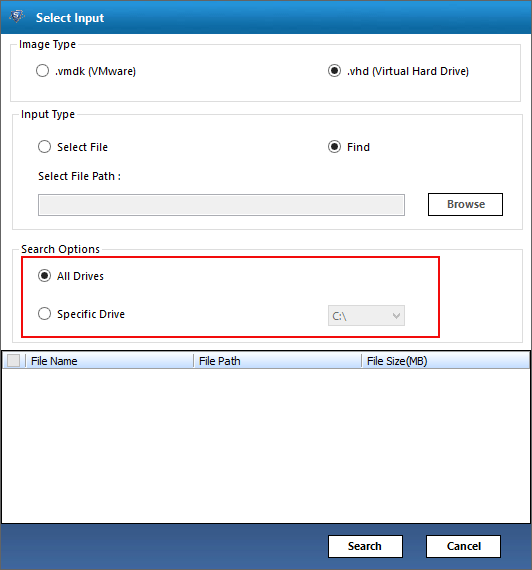 All Drives: This option is useful to search .vmdk or .vhd files type over the Hard Disk. Specific Drive: Tool will defiantly search the file from Selected Drive. Step 5 : As the scanning process of the VHD file is going on, the message will appears: Extraction completed successfully. If you need to store the scan reports then click "Yes" otherwise select "No". Step 7 : All found EDB files are listed, Select the corresponding checkbox for extraction EDB files. While you choose EDB files for Extraction, Tool will scan the files completely. 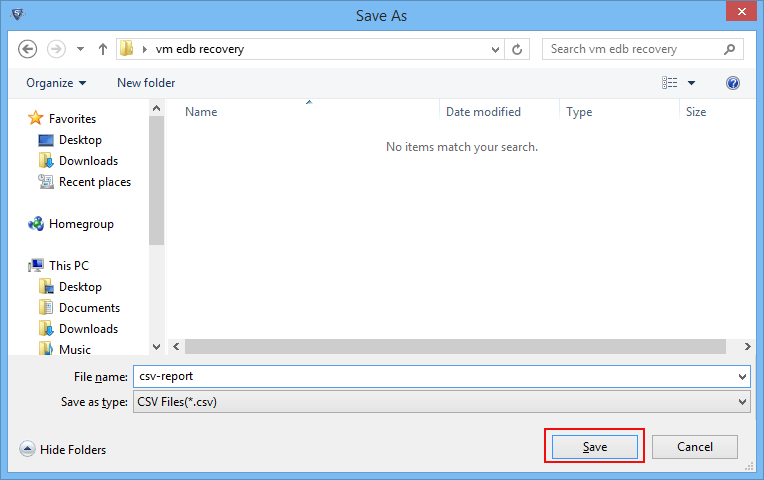 If you need to save optional or all files, EDB files recovered from the virtual disk on CSV file formate then click on "Save Report" Button. Step 8 : As the scanning of the Exchange EDB files have a dialog box displays successful completion of the scanning process. Step 9 : When the file extraction process is completed successfully a dialog box confirming the successful completion of the exaction. Step 11 : To preview the any single Email, Choose the corresponding Email. 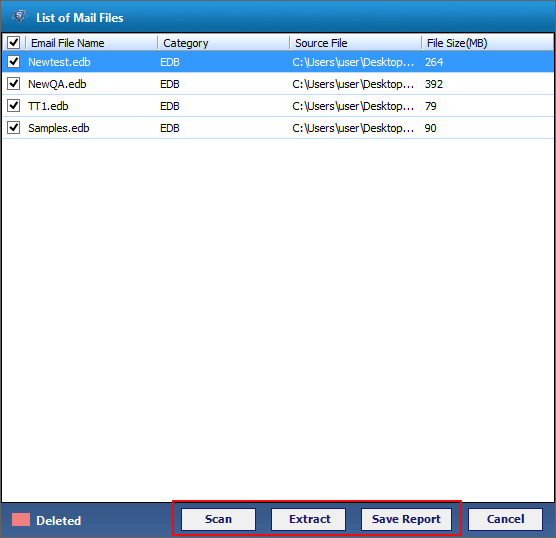 Step 12 : Export & Save EDB:-Choose single or multiple emails & then right click to the Export the files into .msg, .pst .eml & Live Exchange (import to online Microsoft Exchange Server). Step 13 : Software displays Exports dialog Window, that providing numerous export options such as Export As PST/MSG/EML file format. Step 14 : Click on the check Box if you want to Ignore System Folders & click on the Export button to start the export process. 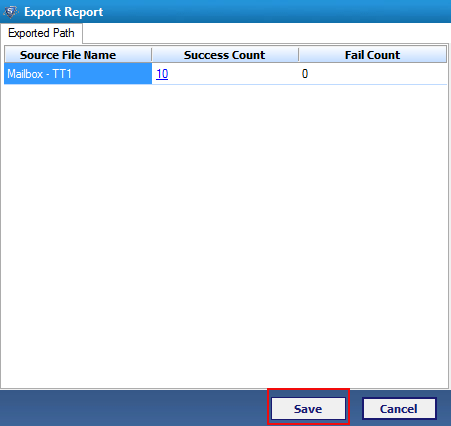 Step 15 : Track the status of Export process in the following window with detail like Folders, Item Count & Path which gives information about the exporting file. Step 16 : An alert box appears the notification of Export process completion. Click the OK button to proceed. Export Report displays the information of the Exported Emails. Now click on SAVE option to save the report in CSV format. Step 17 : Give the desired location to save the CSV file(Report). 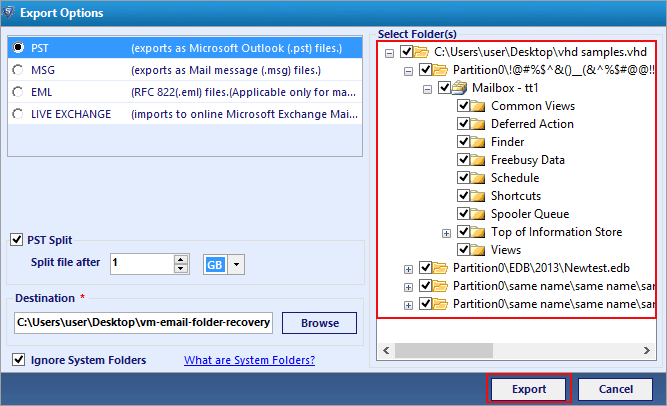 Step 18 : Insignificantly you can clearly Export numerous EDB file mailboxes by clicking on the Export option. Select Folder: Choose the folder of Emails, contact, calendar etc. 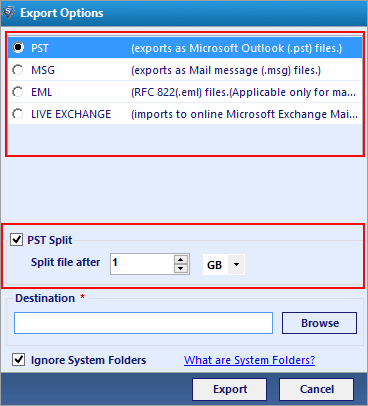 Export As: Choose the file type as PST, MSG & EML & Live Exchange Server. Split PST: This Option split the If the large sized PST file. Browse Destination: Choose storage location for saving the exported files. Step 20 : View the Export process with detail. Step 21 : Now, the software appears a message window that indicating the completion of the Export process. Then, click on the OK button to proceed further. 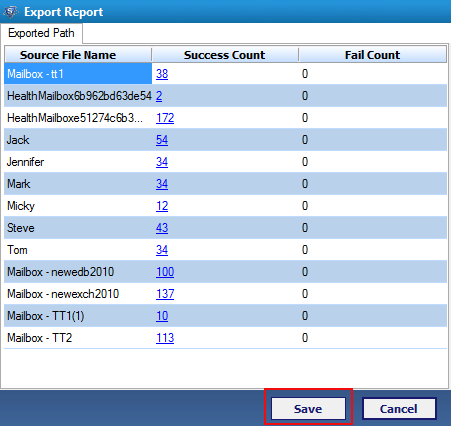 Step 22 : An Export Report is produced by the tool containing the information of the exported mailboxes. Click on SAVE to save the Report as CSV. Step 23 : An Export Report is produced by the tool containing the information of the exported mailboxes. Click on SAVE to save the Report as CSV. 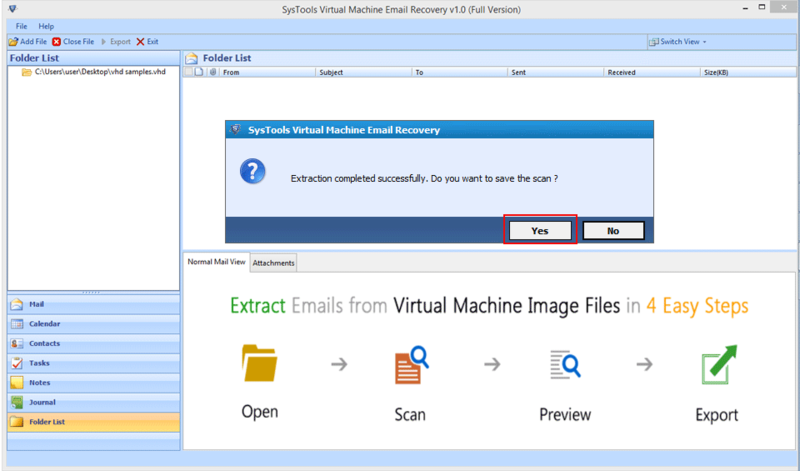 Step 24 : Now you can check the exported data by using Virtual Machine Email Recovery Tool. 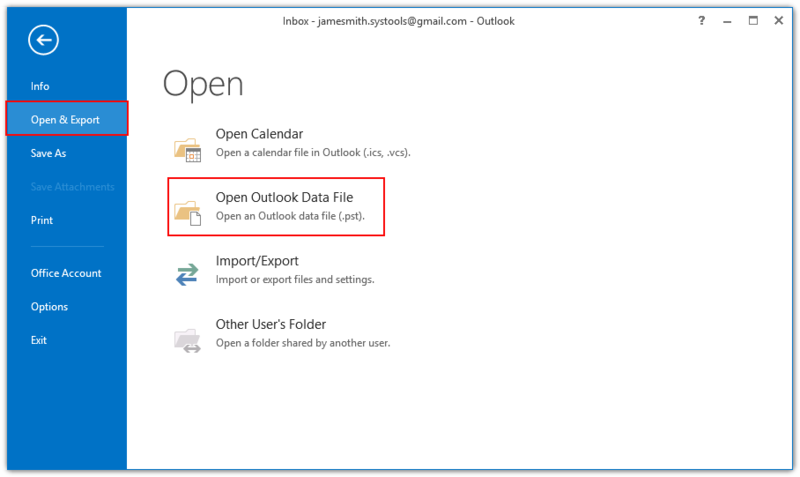 To open an Outlook PST file Open MS Outlook » File » Open » Outlook File and then choose the file from its storage location. Step 25 : Navigate the storage location of converted Exchange EDB file. 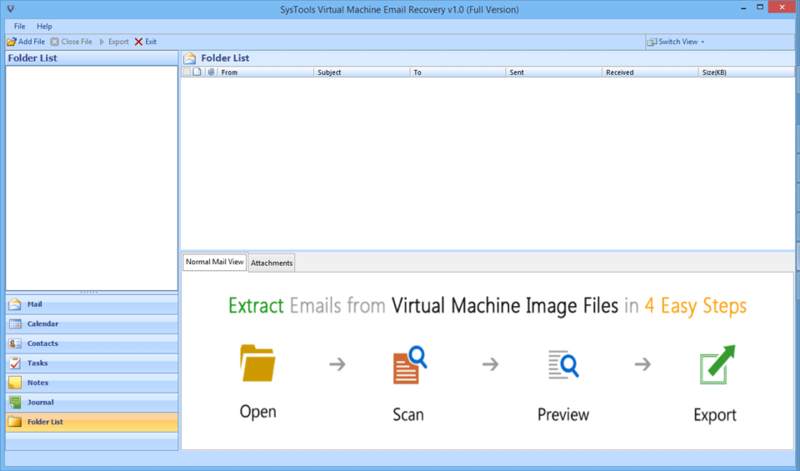 I would suggest Virtual Machine Email Recovery tool to all users who are worried about how to recover data from virtual machine. This is the most trusted tool as I have used this software to recover my emails from VHD file. 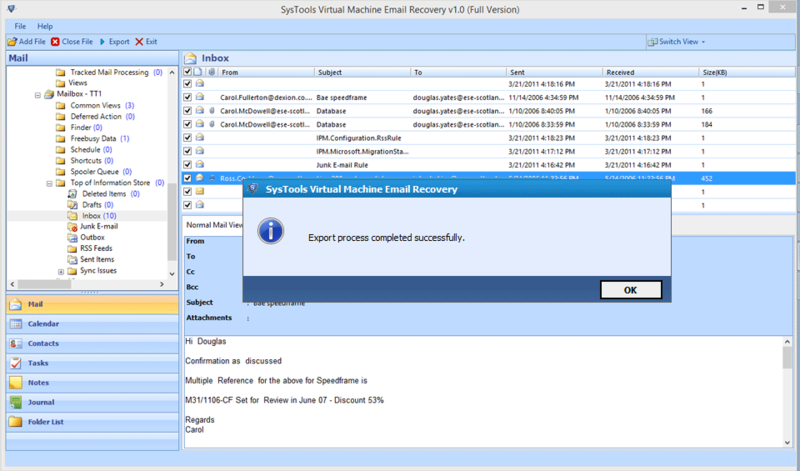 It retains the integrity of the data throughout the process and a user can download virtual email recovery tool for free. 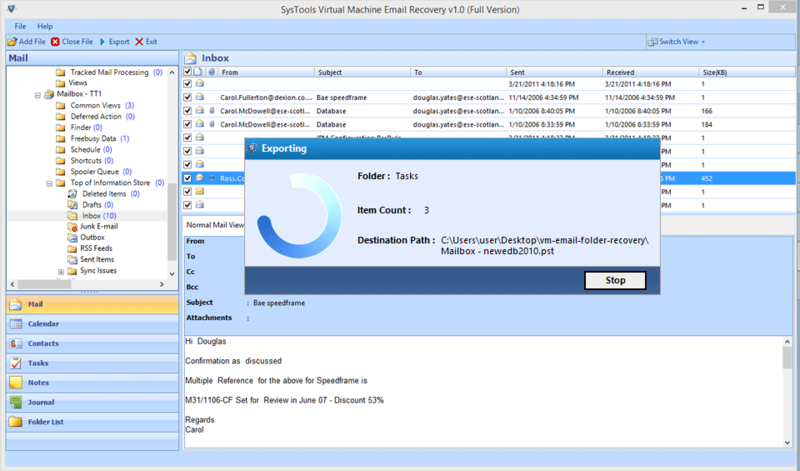 We can really call it an expert solution to scan a file virtual machine and recover EDB emails from it. I am really glad that I have used this software to restore data from virtual device. It is very easy-to-use that even a user who do not have much technical knowledge can use it. 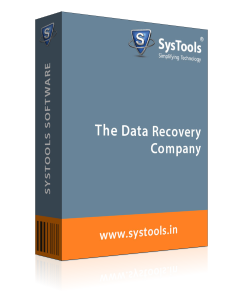 This software is not only capable of recovering corrupted files but extract deleted files as well. This software has done a huge favor for me by restoring all my data. I want to thank software developers for initiating such amazing tool.